City Tour Cusco Cathedral, of Sun, Sacsayhuaman, Tambomachay ... (evenings from 13:30 hrs - 18:30 hrs.). 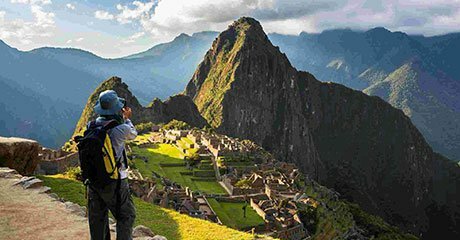 Machu Picchu Tour (Full Day 06:00 hrs - 20:00 hrs). Tour the Sacred Valley of the Incas (all day from 08:00 hrs - 19:00 hrs). Guided Tour Cusco-Puno (08:00 hrs - 18:00 hrs). Travel by bus to Nazca (7:00 a.m. - 14:30 hrs). Bus trip to Paracas from Nazca (15:30 p.m. - 18:55 hrs). Travel by Bus from Paracas to Lima (19:05 p.m. - 23:00 hrs). 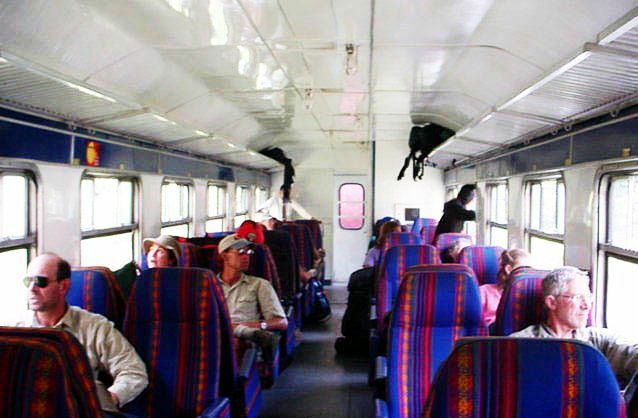 1 Tour to Machu Picchu Expedition Train (Full Day 06:00 hrs. to 20:00 hrs). 1 Guided Tour from Cusco to Puno includes 1 breakfast (all day from 08:00 hrs. to 18:00 hrs). 1 Trip on Bus from Lima to Nazca (7:00 a.m. - 14:30 hrs). 1 Trip on Bus from Paracas to Nazca (17:10 p.m. - 21:00 hrs). 1 Trip on Bus from Paracas to Lima (19:05 p.m. - 23:00 hrs). After breakfast at the hotel, we collect and Lima Airport, there will be checked and take a one hour flight to Cusco "Archaeological Capital of America" Our staff will welcome and transfer from airport Cusco to the Hotel, where we take a mate coca. After lunch at 13:30 hrs will begin the guided tour which includes visiting the center of the ancient city of Cusco, the Plaza de Armas, the Cathedral, the Monastery of Santo Domingo, Koricancha Temple and the nearby ruins of Kenko, Puka Pukara Tambomachay and the fortress of Sacsayhuaman, built with huge rocks that so far remains an enigma mobilization and use of these, there being no quarries in the area. At 19:00 hrs. (Photo: Plaza de Armas in Cusco at night). On this day, tour the Sacred Valley of the Incas tour that started at 08:30 in the morning, pick up from hotel to go to Pisac, which is a typical market, with picturesque cultivated terraces on the mountain. Visit the archaeological site of Pisac. It is also famous for its fairs where you can buy beautiful handicrafts. Then we head to Urubamba where we have included a lunch buffet. Then we go to the fortress of Ollantaytambo, where descendants of the Incas living in the home of the Incas. Finally we went to Chinchero to see its market and the archaeological group with typical Spanish overlaps the Inca constructions. The tour average finishes at 19:00 hrs in the Plaza de Armas of Cusco. Overnight at hotel in Cusco. (Photo: Sacred Valley of the Incas in Cusco). After taking our breakfast we will transfer to the port of Paracas, where we will start the tour to the Ballestas Islands passing through "The Chandelier". After taking our breakfast we will transfer to the port of Paracas, where we will start the tour to the Ballestas Islands passing through "The Chandelier" a giant image on the hillside. Upon reaching the Ballestas Islands, will visit the different islands for two hours, watching the different species of sea lions, seals, penguins and seabirds. After arriving at the port make the tour to the Paracas reserve. In the afternoon we drive to Paracas where we catch the bus to Lima. Upon arrival in Lima will wait in the bus station and drive to the airport to conduct its flight to your country, then we will say goodbye. (Photo: Ballestas Islands in Paracas).